Gilligan: Do those headhunters really collect heads, Professor? Professor Roy Hinkley: Yes, Gilligan. They boil them... they shrink them... and then they mount them on sticks. Gilligan: Eeeeeeew, what a crazy cane! Q: Do these castaways ever come close to dying? I have always been a fan of this show and I grew up with it. I have to say that being in my late 30's now, I still enjoy watching it. There is nothing in the show to offend anyone and you don't have to worry about something inappropriate for young viewers. Not too many shows nowadays are around that you can let a child watch that doesn't have something that is either offensive or has objectionable content. 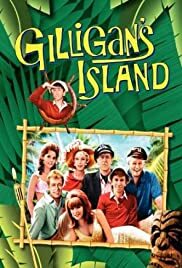 Oftentimes, if I come home after a hard day at work, not physically tired but mentally exhausted, the perfect thing for me is to turn on a television show that doesn't require too much thinking, its just fun and that is what Gilligan's Island is for me. It is a very welcome stress reliever to come home and spend thirty minutes laughing and getting rid of the stress of the day. It is truly a classic television show because of the stories; the theme song and the cast and their chemistry. Everything is a perfect blend.